Initially a £75.00 non refundable deposit is required to secure the booking. 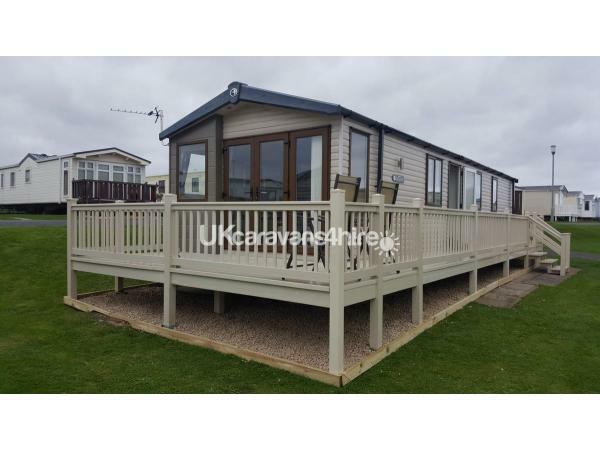 Once full payment has been received the deposit will become the breakages bond and returned after departure once the Caravan has been checked and is in order. The full and final balance is due 4 weeks prior to arrival. If you cancel your booking prior to making the full payment, your depoist will be fortified and not refunded. 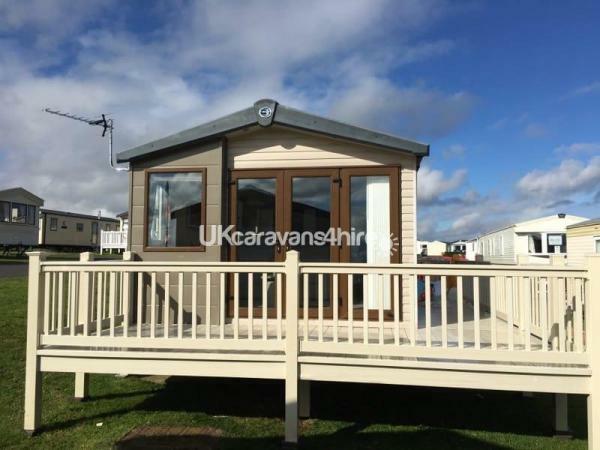 Should you have paid your final balance and then cancel, refunds will only be made if the caravan can be re-let on your dates less £100.00 as a charge made by us for having to re -sell your dates. 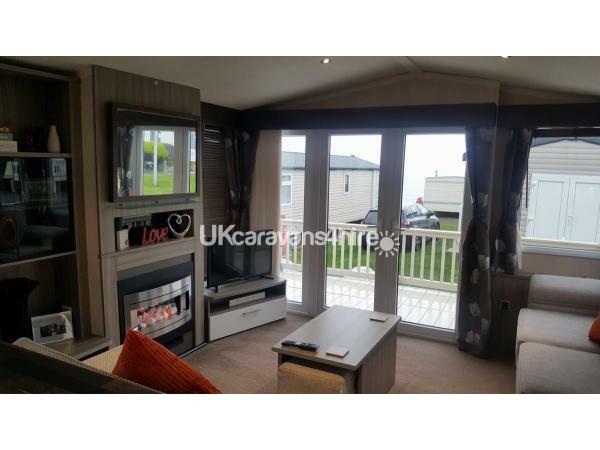 Prestige Caravan with Central Heating, Double Glazing and Decking. 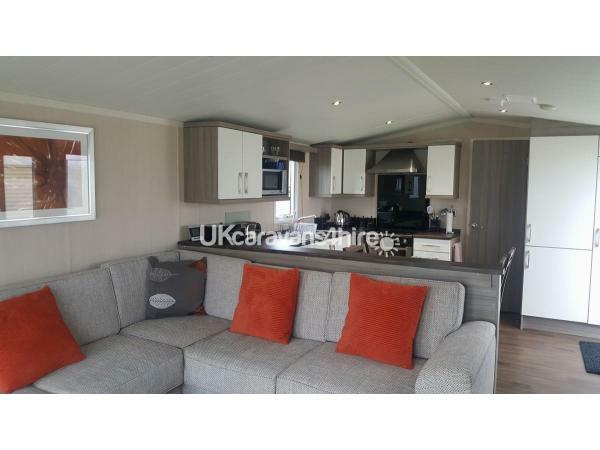 Caravan consists of a large living area with a 32" wall mounted Freeview LCD TV and DVD player. Double doors lead out onto a large decking area with Sea Views. Fully equipped Kitchen / Dining area. 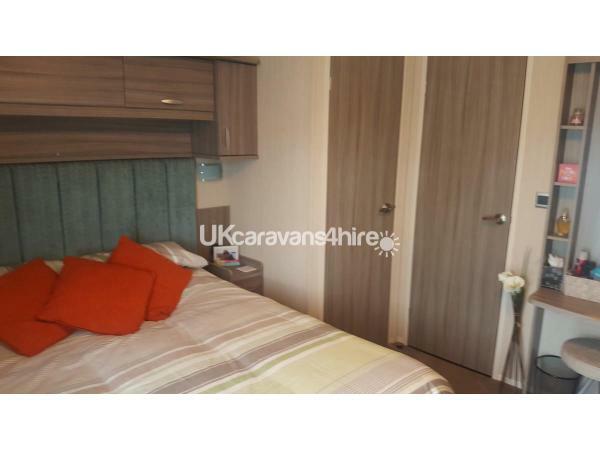 Large master bedroom with king size bed, 2 wardrobes, plenty of storage and en - suite. 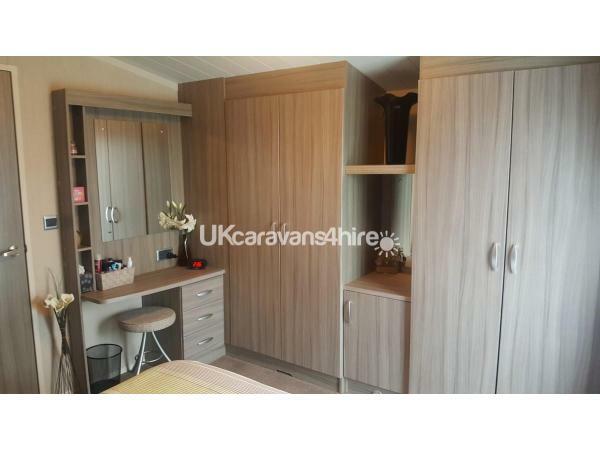 Second bedroom has 2 single beds, wardrobe and additional storage. 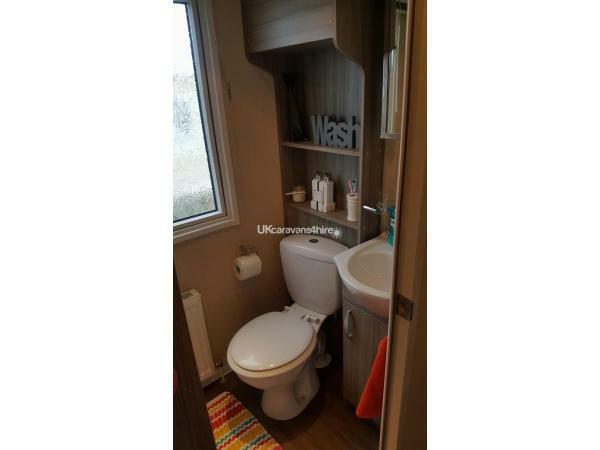 Shower room with basin and W/C. Additional double pull out lounge bed. Outside grassed/patio area and parking for 2 vehicles. Linen and Towels povided and beds made up for arrival. Price DOES NOT include passes for the complex, however these can be purchased from Reception. Initially a £75.00 non refundable deposit is required to secure the booking. 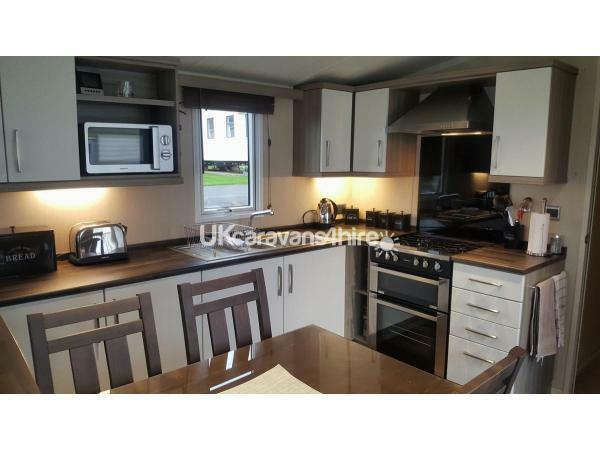 Once full payment has been received the deposit will become the breakages bond and returned after departure once caravan is checked and in order. The Full and Final balance is due 4 weeks prior to arrival. 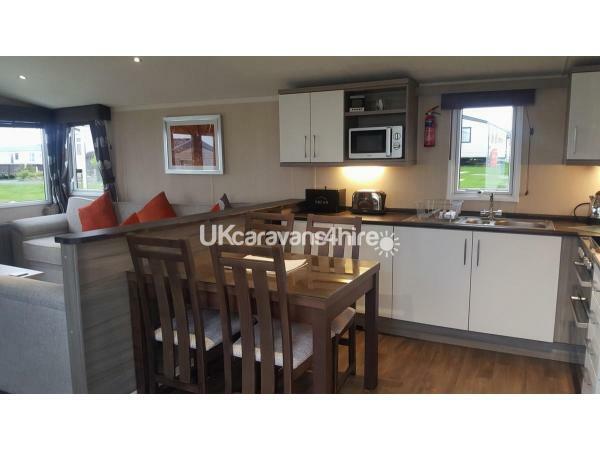 Initial deposit to secure the booking will be retained if payment in full is not made within the specified time frame and the Caravan will be re advertised and re let. Bank Transfers only please. Check in after 3pm on day of arrival and check out is 10am on day of departure. Arrival days can only be MONDAY or FRIDAY. Bookings run from Monday - Friday (4 nights) Friday - Monday (3 nights) or Friday - Friday / Monday - Monday (7 nights). If you require a 7 night stay which is not shown as such in the availability please enquire. Customer Reviews refer to our previous Caravan, however location, pitch number and service provided remain the same. 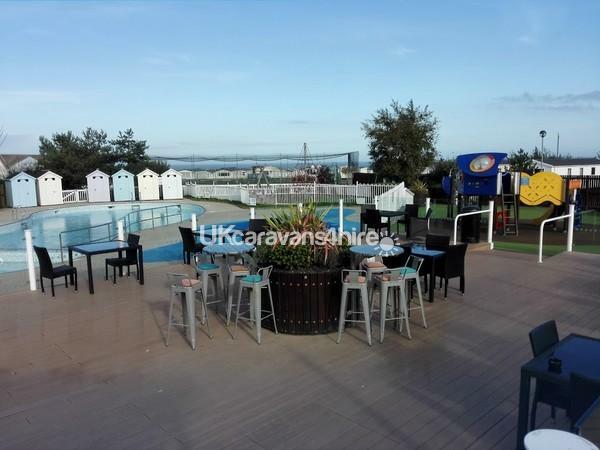 Bar, Restaurant and Showbar, Amusement Arcade, Indoor Pool with Chute and Pool Activities, Golf Course, Laundrette, Grocery Shop, Fish and Chip Takeaway, Kids Club, Outdoor Heated Pool with Splash Zone. Everything you need for a nice break away. Good location, short walk from complex and close to beach and swing park for kids. Part sea view. Caravan clean and plenty of places to park outside the van. Great holiday start to finish. 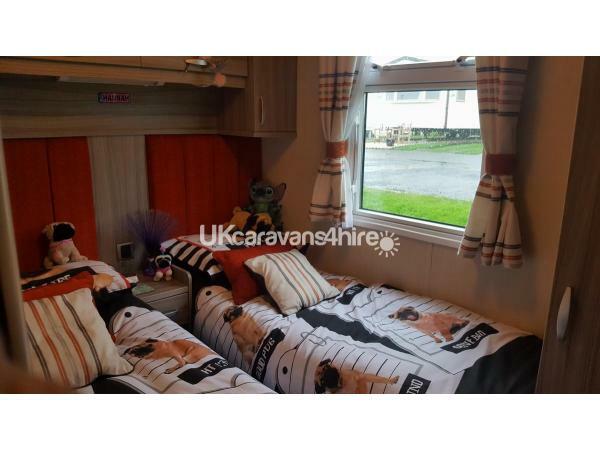 Caravan very clean, lots of space, very comfortable beds so always had a lovely sleep. Kids really enjoyed being away with no worries. Owner was always intouch to make sure everything went through how it should. Would definatly recommend this caravan. Will be back again. Just home from a long weekend in this caravan. The caravan was spacious, well equipped and very clean and comfortable with fab sea views which was great waking up to. 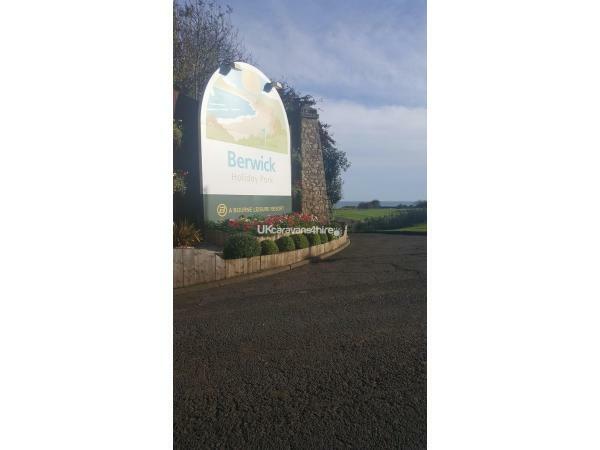 The owners were in regular contact with us before our holiday answering any questions we had but left us to enjoy our holiday and did leave contact details incase we needed to contact them. I am already planning my next trip and will try and book this caravan again. Thankyou for your review. We are pleased you had a nice weekend and enjoyed our Caravan. We look forward to hearing from you in the future.